Offering an elite proactive service managing our sales & rentals areas, Jo utilises her industry experience to provide effective, trustworthy and reliable asset care for landlords, tenants, vendors and purchasers in their real estate journey. Jo is a career driven member of the Selling SA Homes team and focuses her energy on achieving outstanding results for her clients. With a detail-oriented approach and intuitive leadership, she thrives at her multi-tasking job, handling the different facets of sales and property management and fast paced real estate environment with patience, clarity and ease. To ensure your investment is managed by an astute professional, align yourself with Selling SA Homes and call Jo today. 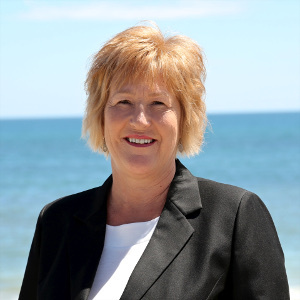 Jo’s background is in Administration, Frontline Management, Property Management and Sales, having gained a broad experience spanning across varying industries over the past 35 years, finding her niche in real estate. Having worked for the last 15+ years in real estate, sitting in various roles, spanning from Sales Support, Personal Assistant, Office Management and Operations, she obtained her Certificate IV in Frontline Management and also completed here Certificate IV in Real Estate (Sales). Call Jo today for all your property needs 0402 217 827!